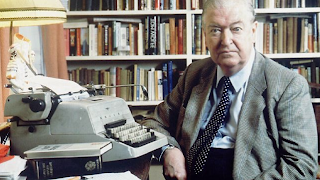 cryptonaut-in-exile: Kingsley Amis practiced the best kind of literary experimentation. 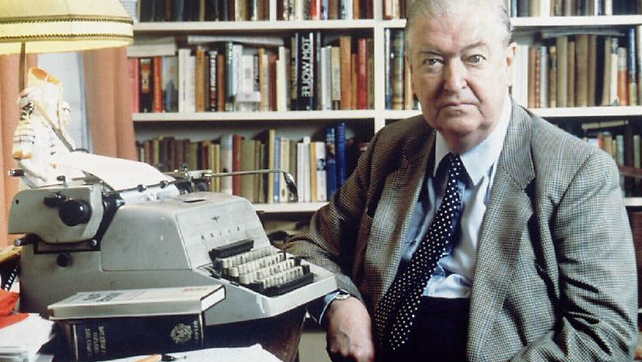 Kingsley Amis practiced the best kind of literary experimentation. I'm always intrigued by the tension (and occasional overlap) between genre and literary writers, and the results when genre writers go for mainstream cred by writing straight fiction (or are accorded literary merit while staying with the genre (Lem, Delaney, Ballard, or Atwood, for example). Likewise, I'm curious about the results when acknowledged literary talents like Amis, Theroux (O-Zone), and McCarthy (The Road) dip their toes in the genre pool. Fill the shirt, my brother. Fill it. New England adopters saving southern dogs. The oldest example of North American art? So that leaves Kramer for g+? "Diligent search and inquiry ..."
Thome's titanic homer impresses teammate. I love when Superchunk cover "Where Eagles Dare"
Is the iconic "B" on the way out?